Need reliable electricians based in Norwich? We are a team of electricians based near Norwich that are dedicated to helping you. With more than a decade of experience under our belts, we are the top choice of many domestic and commercial property owners for electrical contracting in Norwich. We have a team of fully qualified, NICEIC certified electricians, we are always able to complete any job to the best of our ability while causing minimal disruption to your daily routine. 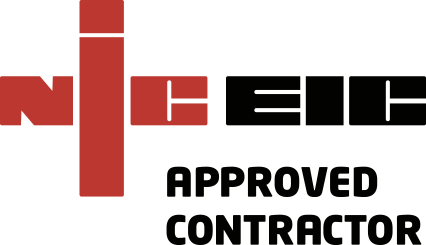 Our NICEIC membership means that you can rest assured that any job our competent Norwich electricians undertake will be completed both safely and efficiently. We have been operating in and around the Norwich area for many years now and have a built up an exceedingly good reputation. Areas of electrical work that we cover include: lighting systems, new builds and extra socket installations, fault finding and inspections (including PAT testing), complete or partial property rewiring, fire alarm testing and installation, consumer unit upgrades, security systems, kitchen and bathroom upgrades, condition reports and landlord certificates. MTS Electrical has been around for a long time now. We have built up a great reputation with many residents and commercial property owners in Norwich. Having worked for Norwich City Council, Great Yarmouth Council and a number of commercial properties, you can be sure that our services are up to a very high standard. Our team of electricians are all fully qualified and professional, yet friendly and approachable. Also available is our emergency call out service. If you have an electrical problem that can't wait, give us a call and we will dispatch an electrician as soon as possible. Please don't hesitate to call us, or think that you can manage a problem with a DIY solution. Putting yourself and the occupants of your property at risk is not necessary when there are a team of electricians ready to help you. To get in touch with reliable, friendly and professional electricians in Norwich give MTS-Electrical a call today. We are an experienced work force of Norfolk electricians that are dedicated to helping you.